Mission Statement – Clarus will deliver world class financial, accounting, and tax services to its clients by investing in people; maintaining a diverse talent base that will allow us to serve the needs of businesses and their owners throughout the business life cycle; and delivering a fresh perspective by cultivating relationships with our clients. Our experience and knowledge is most valuable when we know and understand the people we serve. Whether you are in need of a special project or a comprehensive engagement, we will immerse ourselves in your business, and work alongside you to enhance your organization’s performance. In person or online, you can count on Clarus to provide clear solutions. We believe through diverse skills, personal service and uncommon perspective, Clarus Partners is a best-in-class accounting firm that helps improve business performance by delivering clear solutions to complex business issues. We believe it is that same personal service and skill that allows us to reach out to the community in a variety of ways. Our success is tied to the success of the community in which we work and live and we are committed to pursuing our civic and professional passions. Clarus Partners recognizes the importance of contributing to organizations that improve the communities in which we live and work. We aim to further these causes through financial, service, and in-kind donations. December 2018- Dawson Careers teamed up with the U.S. Marine Coprs Reserve’s Toys for Tots and transformed their Mobile Recruitment Center into a Merry Mobile Toy Drive! Clarus helped fill that bus for the third year in a row by donating numerous toys and goodies for the children of central Ohio. September 2017-Join us on August 19th and help the community and protect your identity by shredding your small business or personal documents for free! 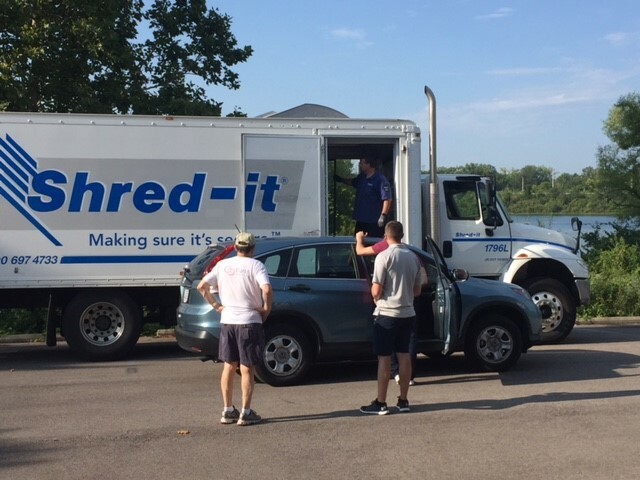 For information on our FREE SHRED DAY event please click here! April 2017- Proud to be a Sponsor of the Run Down The Demons 5k Obstacle Race. Their mission is to address issues surrounding suicides, post-traumatic stress disorder, and other mental health disorders related to veterans, active service members, and/or their family members by providing education, raising awareness and providing resources to those we serve. For information on RDD or to register for the event please click here! December 2016- Dawson Careers teamed up with the U.S. Marine Coprs Reserve’s Toys for Tots and transformed their Mobile Recruitment Center into a Merry Mobile Toy Drive! Clarus helped fill that bus for the second year in a row by donating numerous toys and goodies for the children of central Ohio. 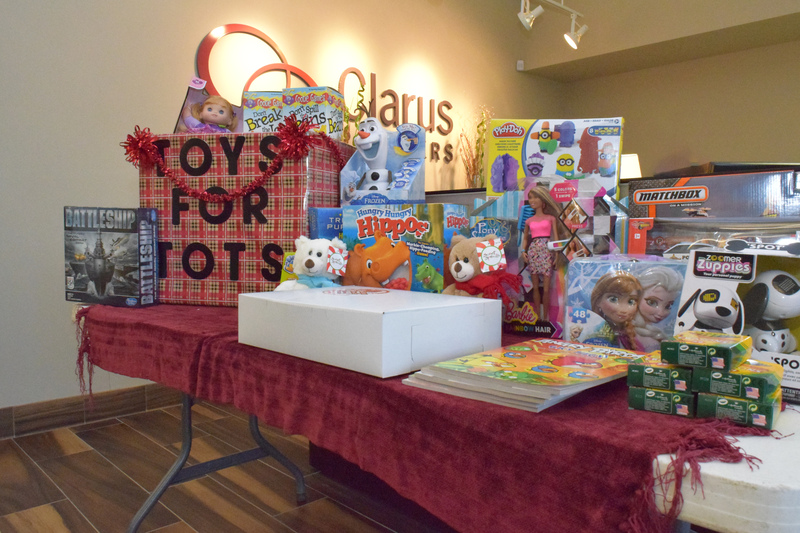 11/2/2016-Holidays and the giving spirit go hand in hand at Clarus Partners. Our professionals have been busy packing shoe boxes to help children in need through Operation Christmas Child by Samaritan’s Purse. 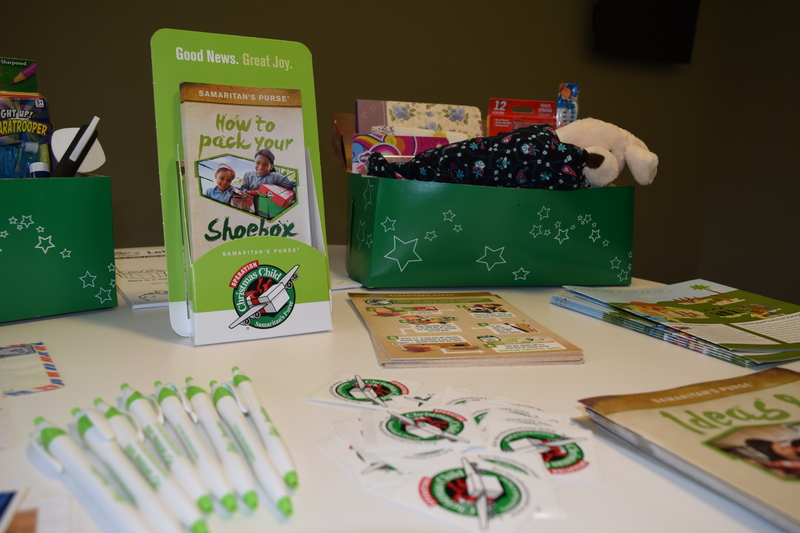 To learn more about Operation Christmas Child and how you or your company can join in please click here. 8/28/2016-Always looking to help improve the lives of the people in our community Clarus Partners recently met with the Ronald McDonald House Charities right here in Columbus, Ohio to discuss how we could help. 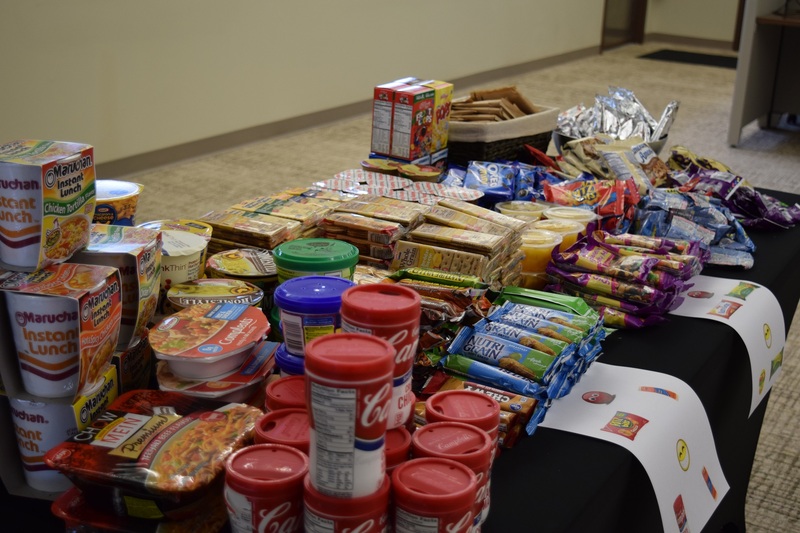 Introducing…the 1st Snack Pack event to benefit RMHC! Our staff brought in boxes of donations for the Snack Packs and even brought their children in to help assemble the packs. We were able to donate over 225 Snack Packs to the Ronald McDonald House Charity. To find our how your organization could work with RMHC please click here! 4/17/2016-Proud to return as a 4th year community sponsor of the Short North Gala on April 17th at the Hilton Columbus Downtown. As they say…Celebrate and support the artistry, diversity, community, and spirit of the Short North Arts District in one deliciously unforgettable evening! For details click here! 4/16/2016-Proud sponsor of the Cville Kids Mile & 5k for Clintonville Schools. Hope to see everyone out there at this family friendly event supporting the Clintonville Area Schools on Saturday, April 16th. For more information on how to get involved click here! 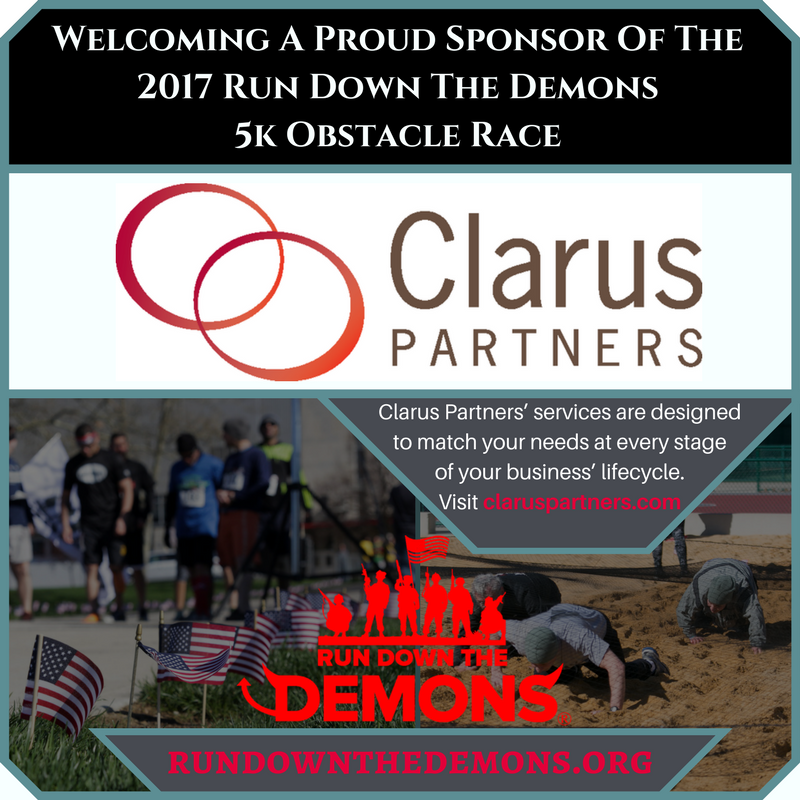 4/2/2016-Clarus Partners is proud to be a sponsor of the Run Down the Demons 5k Obstacle Run & Walk on April 2nd at Remembrance Park. To register or donate please click here! 2016- Clarus Partners is proud to be a table sponsor of the YWCA Leadership Luncheon Series. 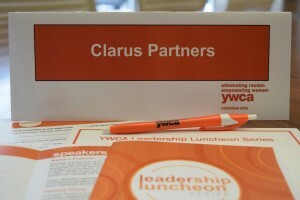 Join us at the next event by visiting YWCA Columbus. 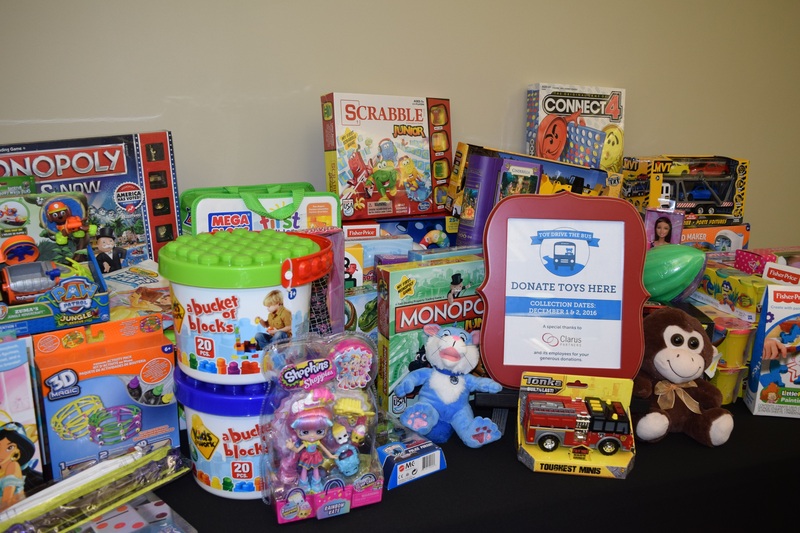 December 2015- Clarus associates partnered with Dawson for their #ToyDriveTheBus event. Dawson teamed up with the U.S. Marine Coprs Reserve’s Toys for Tots and transformed their Mobile Recruitment Center into a Merry Mobile Toy Drive! Clarus helped fill that bus by donating numerous toys, stuffed animals and other treats for the children of central Ohio. 9/20/2015-Three years ago we formed a team to raise donations and promote awareness for the National Kidney Foundation Columbus Walk. Across the nation the Kidney Walk boasted 85,000 walkers, 6,300 teams and more than $9 million dollars raised. Two major kidney disease risk factors are diabetes and high blood pressure which affects 1 in 3 American adults. To learn more about Kidney Disease or the National Kidney Walk click here. Here Click to watch a fun video about the basics of kidney function and the disease. 9/21/2014-In the fall of last year we formed a team to raise donations and promote awareness for the National Kidney Foundation Columbus Walk. This year’s walk boasted over 900 people and raised over $108,000 to aid in the battle of kidney disease through awareness, prevention and treatment. To learn more about the National Kidney Walk click here. FETCH! stands for Financial Education Teaches Children Healthy Habits®. It was created by The Ohio CPA Foundation to teach children basic financial literacy concepts now so they can better manage their money later in life. We volunteer our time and expertise to this mission each year in an effort to educate, mentor and drive the ambitions of the next generation. To learn more about the FETCH program through The Ohio Society of CPAs click here. 6/19/2014-Clarus Partners will be attending the 23rd Star Award Gala honoring Angelo Mazzocco & Sue Zazon. The Ohio Cancer Research Associates are dedicated to funding seed money cancer research projects and supporting cancer awareness and early detection. To join us in supporting cancer research click here. 5/4/2014-With pride and commitment any community can grow. 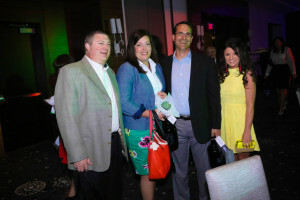 This year we sponsored the Short North Alliance at their annual spring Gala. It is a highly anticipated affair that immerses you in the flavor and spirit of the Short North Arts District all while promoting the revitalization of the area. To learn more about the continuing efforts of the Short North Alliance click here. 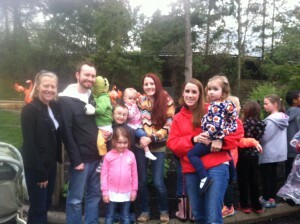 4/26/2014-This year we kicked off the end of the tax busy season with a fundraising walk at the Columbus Zoo for the Arthritis Foundation. We are proud to support this organization and its efforts in arthritis research and education. 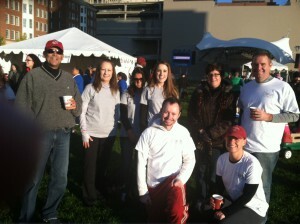 The Clarus team walked in honor of our employee whose child was diagnosed with Polyarticular Juvenile Ideopathic Arthritis. The walk may be over but is never to late to donate to this wonderful organization. Click here for more information on the Arthritis Foundation. In the fall of 2013 we formed a team to raise donations and promote awareness for the National Kidney Foundation Columbus Walk. The Kidney Walk is the nation’s largest walk to fight kidney disease. Held in nearly 100 communities, the event raises awareness and funds lifesaving programs to educate and support patients, their families and those at risk. Having one of our own associates go through the devastating effects of kidney disease we know first hand the effect it can have and are committed to raising awareness & support of the National Kidney Foundation. To learn more about the upcoming 2014 walk click here. As you can see we are always up to something at Clarus Partners! Whether it is a fund raising event or providing pro bono financial consultation to local non-profits Clarus Associates are always pursuing their civic and professional passions. Below is a list of just some of the organizations our associates support.